Burlington’s Memorial Auditorium was the scene of a quiet homecoming Monday night when pianist Gretchen Saathoff returned to town. Saathoff, a former Burlington resident, was this month’s featured artist for Burlington’s Civic Music program. 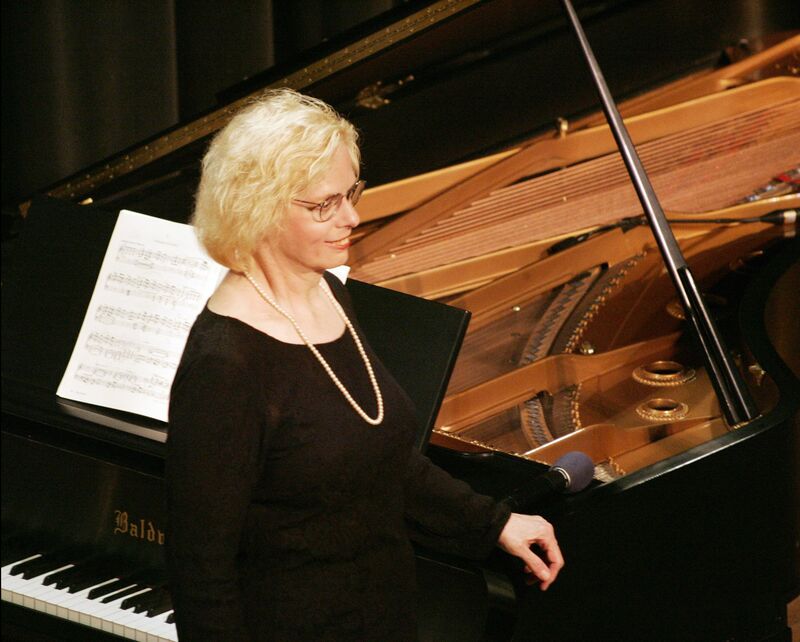 She lives in Massachusetts and performs on the East Coast as a soloist and accompanist for a variety of prestigious singers and instrumentalists. town. Saathoff played from sheet music, a departure from the far–flung visiting performers who deem such behavior to be déclassé, but here it simply added to the hometown feel and appeal. The pianist played with a very light touch, delicate and tender, unlike some of the overly dramatic keypounders we’ve seen in years gone by. Her repertoire consisted of short pieces throughout, and again, the hometown groove was there, with the audience applauding after every piece in the set of Chopin preludes. The favorite seemed to be “Prelude No. 2 in A minor” with its familiar “tripping–down–the–staircase” run at the end of the turnarounds. All in all, it was a refreshing departure from the boisterous shows that are the hallmark of Civic Music, and the crowd, which seemed a bit larger than usual, looked to be quite content with Saathoff’s enchanting and fluid performance.